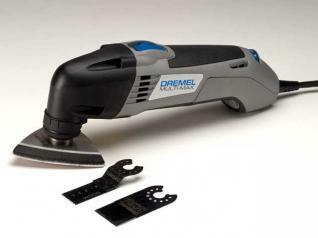 The Dremel Multi-Max makes quick work of your sanding projects. Dremel’s Multi-Max combines a triangular sanding pad (perfect for getting into nooks and crannies) with an oscillating saw and scraper system. Dremel’s Multi-Max combines a triangular sanding pad (perfect for getting into nooks and crannies) with an oscillating saw and scraper system. The tool makes a useful addition to any shop. The Multi-Max sands away a surprising amount of wood quickly and features an adjustable oscillating speed. 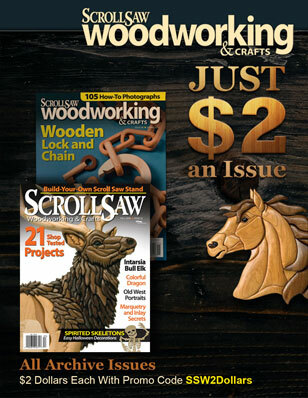 The tool makes short work of sanding projects, an aspect of woodworking most scrollers dread. In a shop test, I accidentally sanded through the surface veneer of a piece of Baltic birch plywood while trying to remove a stain. I equipped the Multi-Max with 120-grit sandpaper and set it at the fastest speed. I then held the tool in place over the stain for about 30 seconds. When I checked my progress, I was shocked to see how much wood had been removed. Before I got the Multi-Max, I used a random orbit sander for most of my projects. Now, the first tool I reach for is the Multi-Max. However, I am more cautious about how much pressure I apply to the tool and how fast I have the tool oscillating. For scrolling work, I use the scraping attachment almost as much as the sanding attachment. The flexible scraper quickly removes stuck-on tape or patterns. Turn the speed down to about 5 and let the scraper do the work for you. Practice using the scraper on scrap wood first; if you press too hard, the scraper may dig into the wood a little bit. It took me two attempts on my practice piece to determine the amount of pressure required to remove the pattern without digging into the wood. A quick wipe with mineral spirits removes any trace of the adhesive residue. The Multi-Max comes with several useful cutting attachments. The offset saw worked beautifully for a quick remodeling project on my oak door frame and the grout cutter made a tiling project much easier. The flexible scraper also works well to remove old bathtub caulk without damaging the tub. The Dremel Multi-Max, which is available for around $99 from a number of retailers, including Lowes and Ace Tools, makes a great addition to any shop. 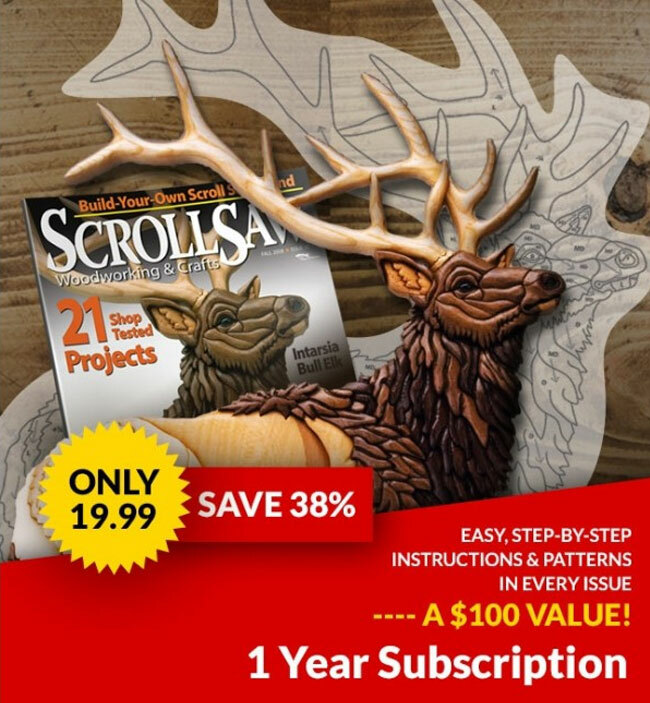 You can use it on just about anything, from sanding the most delicate fretwork to removing thick layers of paint when refinishing an old chair.